We dedicate the 2011 issue of the Grassroots Development journal to the women who are using their talents, skills and commitment to their communities to spearhead grassroots development in Latin America and the Caribbean. Here we profile Nohra Padilla, a daughter and granddaughter of Colombian recyclers, whose work to educate residents of Bogotá of the benefits of recycling and demand that recyclers have a seat at the table has helped her rise through the ranks of an organization in which most workers are male. IAF grantee partners Fundación Social and Fundación Corona have also supported this effort in the struggle against poverty. This story is part of a series for Grassroots Development profiling individuals throughout Latin America who are changing their societies from the bottom up. In the poverty-stricken countryside of Paraguay, Elsa Zaldívar has found a way to create strong, lightweight, inexpensive furniture and housing materials using vegetable matter and recycled plastic. 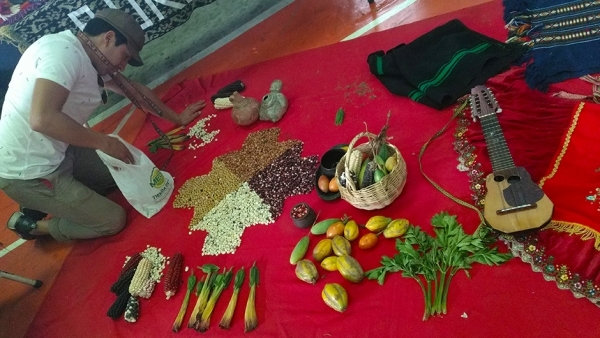 This article highlights Zaldívar’s organization, Base Educación, Comunicación y Tecnología Alternativa, and related IAF grantee partner organizations that focus on practical ways to improve conditions in rural communities, particularly for women. Children attending small, multi-grade schoolhouses in the Andean highlands face a number of challenges just in arriving at the classroom, not to mention in learning the content once they are there. This article features the work of Asociación Cultural Allyu Yupaychay, an IAF grantee partner whose art workshops hosted by young men and women in the community have transformed the children’s ability to learn core concepts and develop a sense of personal pride. With the 2014 World Cup and 2016 Olympic Games on the horizon, Deise Gravina realized that the need for massive infrastructure projects would fuel a demand for a skilled workforce. In this article, we look at how Gravina’s organization, Federação de Instituições Beneficentes, has worked to train cariocas, or women from Rio de Janeiro, for the lucrative and traditionally male-dominated construction trade. When Francisca Blandón Ortiz became a cattle rancher, she was one of only women in her field. This article draws attention to the significant ground that female cattle ranchers in Tepeyac, Nicaragua, have made in the past 15 years. 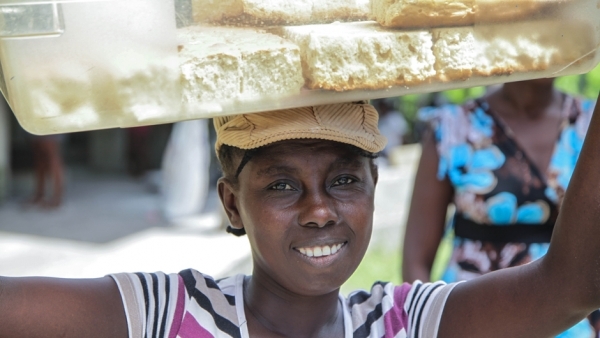 This interview offers a glimpse into the singular resolve of Louise Lexis Relus, the woman whose 13-hour trek from Veyon, Haiti, to hand in a proposal and commitment to her community convinced the IAF to invest in Oganizasyon Kominotè Fanm Veyon (Women’s Community Organization of Veyon). Here we profile Rxiin Tnamet, a grassroots organization in Guatemala’s Lake Atitlán region providing healthcare that has won the praise of international donors, the local government and the people it serves. Under the leadership of Leticia Toj, a nurse practitioner whose gender could have destined her for a life of limited options, the organization has improved urgently needed health services for indigenous Guatemalans. Since the 1970s, the IAF has funded organizations offering loans or working capital to the poor, including Fondo de Desarrollo para la Mujer (FODEM), a microfinance institution in Nicaragua serving low-income women almost exclusively. In this article, we explore how the IAF’s award to FODEM helped it to achieve operational and financial equilibrium at a crucial stage. This article features the stories of two Salvadoran women who joined the resistance movement under very different circumstances and are both carrying their ideals forward into grassroots development. Asociación para el Desarrollo Empresarial de Productores y Comercializadores Centroamericanos is one such grassroots organization that provides the poor with training and economic opportunities and collaborates on an IAF-funded marketing project benefiting women in central El Salvador. In this article, we see how an IAF Fellow’s experience with Peruvian legislation and her study of how indigenous communities resist the incursion of mining into their territories made her rethink what democracy is and how communities work toward it. An increased human presence in the Galápagos Islands is linked to an increase in invasive species, which can be devastating to native flora and fauna and to local agriculture. In this article, we highlight how IAF funding enabled researchers to conduct a study of urban and rural use zones of Isabela and Santa Cruz Islands and provided opportunities for Foundation for Alternative Responsible Development-Galápagos to support conservation and sustainable farming in local communities. For three days in November 2010, more than 400 artisans from nine countries of the Americas came together in Urubamba, Peru, to share, describe, display and enjoy timeless techniques and beautiful textiles at the Tinkuy de Tejedores, or gathering of weavers, hosted by IAF grantee Centro de Textiles Tradicionales de Cusco. For many, this was their first experience with colleagues from beyond their communities. IAF grantee Reef Check Dominican Republic, an arm of the Reef Check Foundation, inaugurated El Carey, its aquatic center in the Parque Nacional Submarino La Caleta. Reef Check has been working in partnership with 30 fishers and other residents to form the Cooperativa de Pesca y Prestadores de Servicios Turísticos de La Caleta (COOPRESCA) in an effort to shift members’ primary source of income from fishing to ecotourism, thereby aiding in the recovery of depleted fish stocks. Abel Barrera Hernández, president of IAF grantee Tlachinollan Grupo de Apoyo a los Pueblos Indios de la Montaña, accepted Amnesty International’s Sixth Human Rights Award at a gala celebration marking the golden anniversary of the organization, a world leader in the defense of human rights.